At a mega event in Beijing, Xiaomi announced its latest flagship device “Mi Note”, a phablet designed to compete against the Apple iPhone 6 Plus. With the Mi Note, Xiaomi also unveiled “Mi Note Pro” that features the same design and form-factor as the Mi Note but packs an insanely powerful hardware. The Mi Note features a 5.7-inch Full HD display, is powered by a 2.5Ghz Quad-core Snapdragon 801 processor, Adreno 330 GPU, 3GB of RAM, 13 megapixel camera and a 3000mAH battery. The sides of Mi Note comprise a metal frame whereas the front and back panels are made of Corning Gorilla Glass 3. 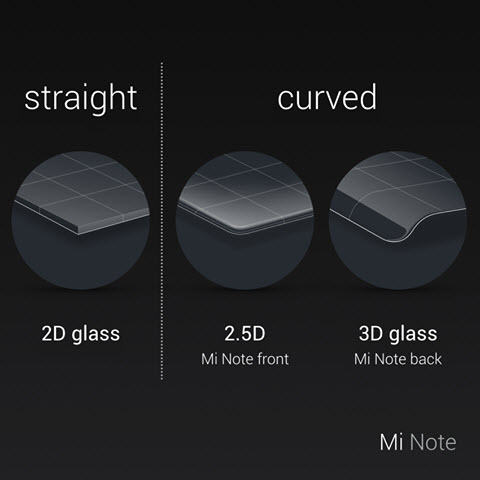 As per Xiaomi, Mi Note comes with a 2.5D curved glass on front and a 3D curved glass on back, which is highly resistant to scratches and shattering. It’ll be available in 2 colors – black and white. 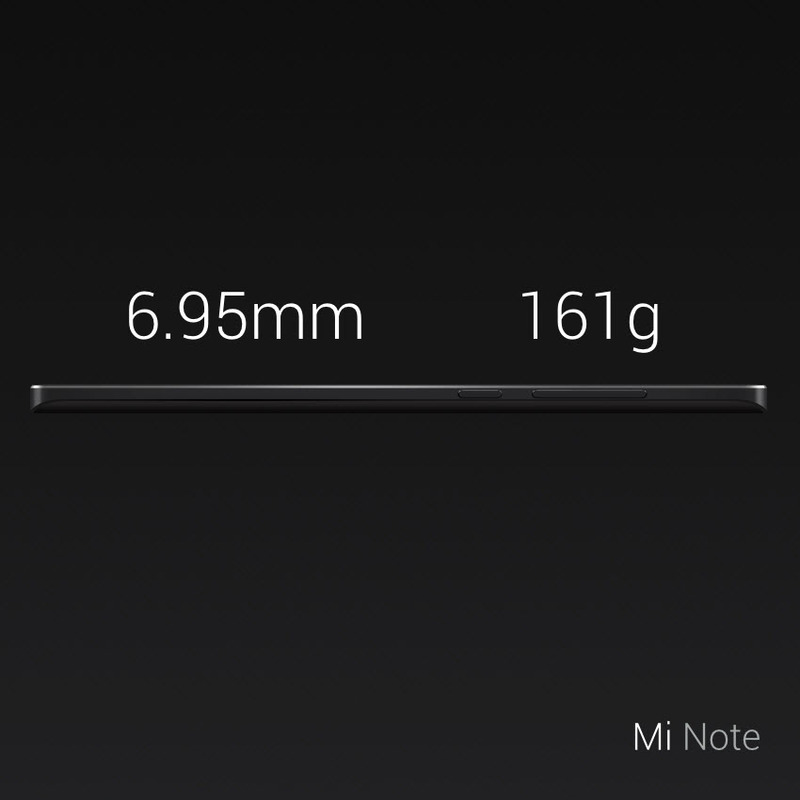 Despite boasting metal and glass construction, Mi Note is just 6.95mm thick and weighs 161 grams. The Mi Note 5.7” display packs a 1920×1080 screen resolution at 386 PPI, with super thin 3.0mm bezels. It comes with adaptive dynamic contrast and blue light-reducing mode, that reduces strain on eyes. 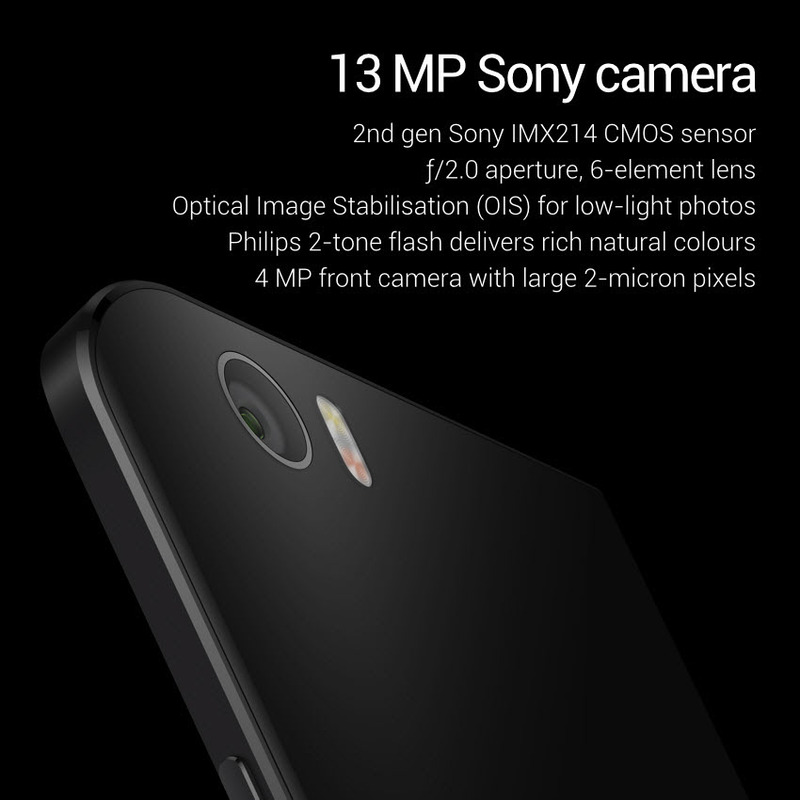 The 13MP camera with Sony IMX214 CMOS sensor has a f/2.0 aperture and Optical Image Stabilisation (OIC) for low-light photos. There is a 4MP front camera with large 2-micron pixels. 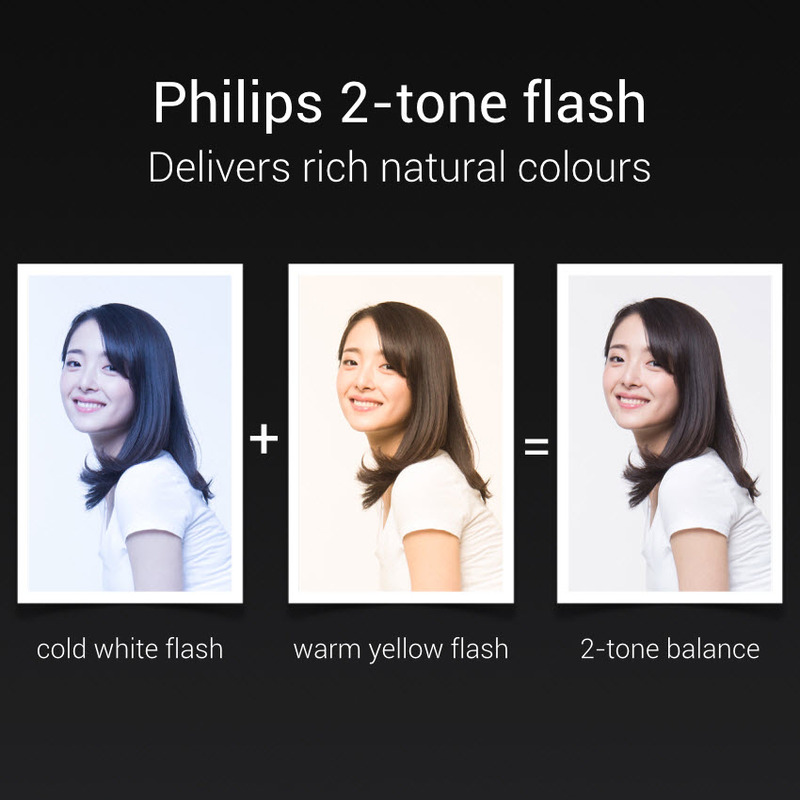 The phablet supports Quick Charge 2.0 for faster charging and runs on MIUI 6. 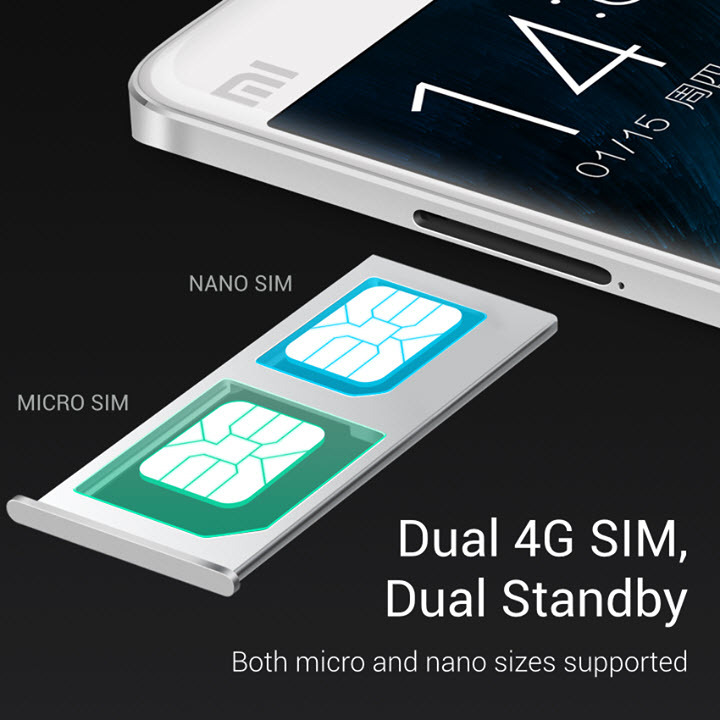 Mi Note comes with Dual 4G (Dual Standby) that supports both micro and nano SIM card. The device supports Hi-Fi audio system with 24-bit/192KHz lossless playback support. Unlike Apple, Xiaomi proudly shared the sources of Mi Note internals that includes a 5.7” display from Sharp/JDI, 13 MP Sony sensor, Philips 2-tone flash, and 3000mAh battery from Sony or LG. Price and Availability – Mi Note will be available on 27 January at the price of 2299 Yuan ($370) for 16GB model and 2799 Yuan ($451) for 64GB. Mi Note PRO – A flagship killer! The Mi Note Pro is what you can call as “The successor of Mi Note” with top-notch specs but with same design language. 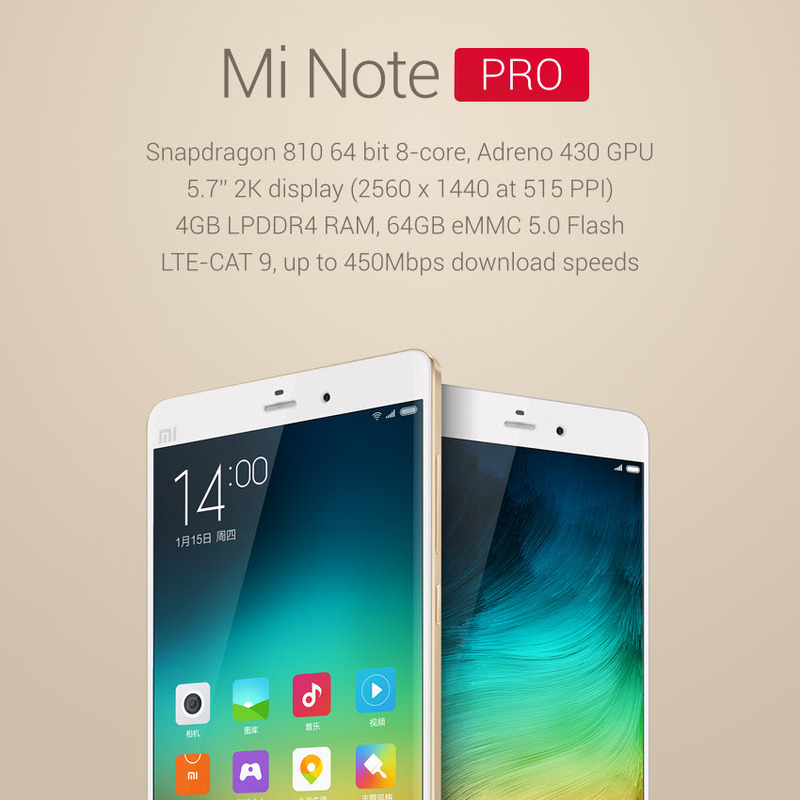 Mi Note Pro features the most powerful Qualcomm Snapdragon 810 64-bit 8 core CPU (Octa-core processor with Quad-core 2.0GHz Cortex-A57 and Quad-core 1.5GHz Cortex-A53), Adreno 430 GPU and 4GB of LPDDR4 RAM. 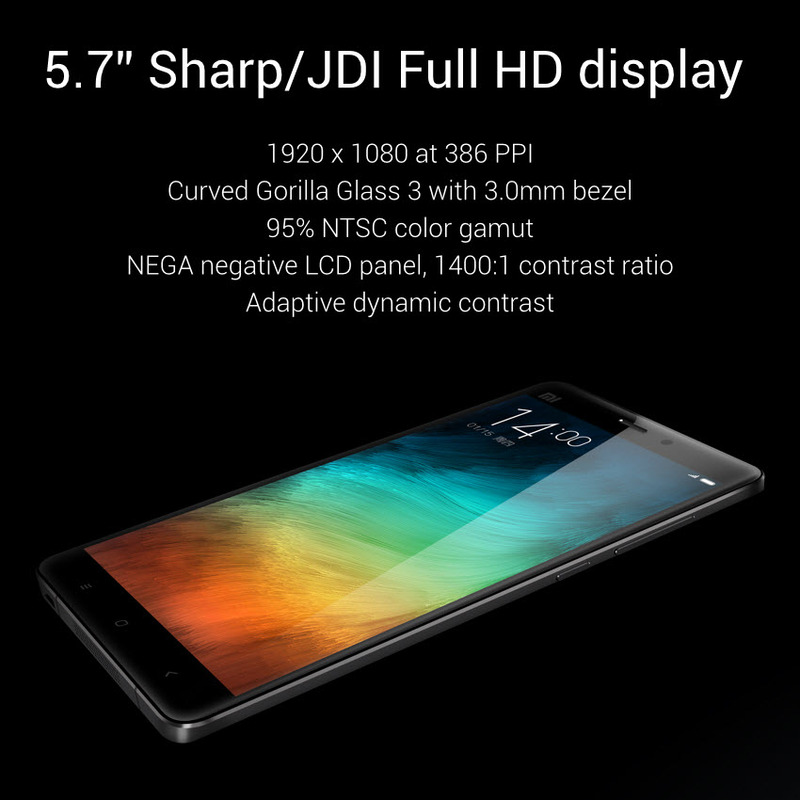 Mi Note Pro sports an amazing 5.7-inch 2K display with a screen resolution of 2560×1440 at 515 PPI. Comes with LTE-CAT 9 connectivity that is capable of download speeds up to 450Mbps. 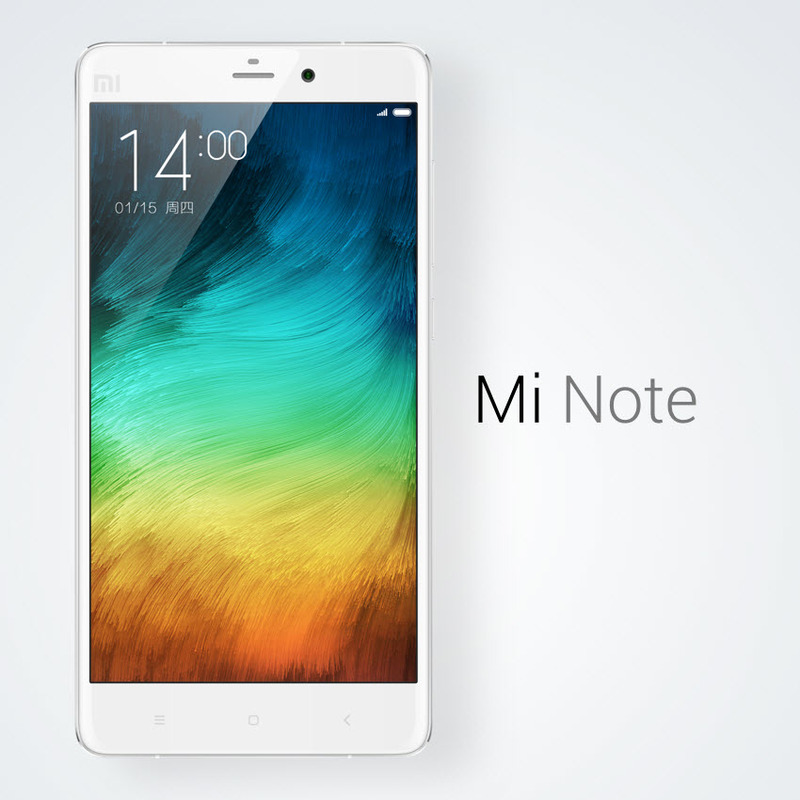 Mi Note Pro will be available in 64GB capacity at a price of 3299 Yuan ($532). Comes in 3 colors – Black, White, and Gold. Now hope the new Mi devices make their way to India soon! Meanwhile, Mi 4 launch in India is almost confirmed for 28 Jan.